Back in 2010, Brian Morris and I started a project documenting the fiddle music of his father, the late Erskine Morris (1913-1997) from Douglastown. Erskine’s music was my introduction to Gaspesian culture and has been my main source of musical inspiration for the past six years. 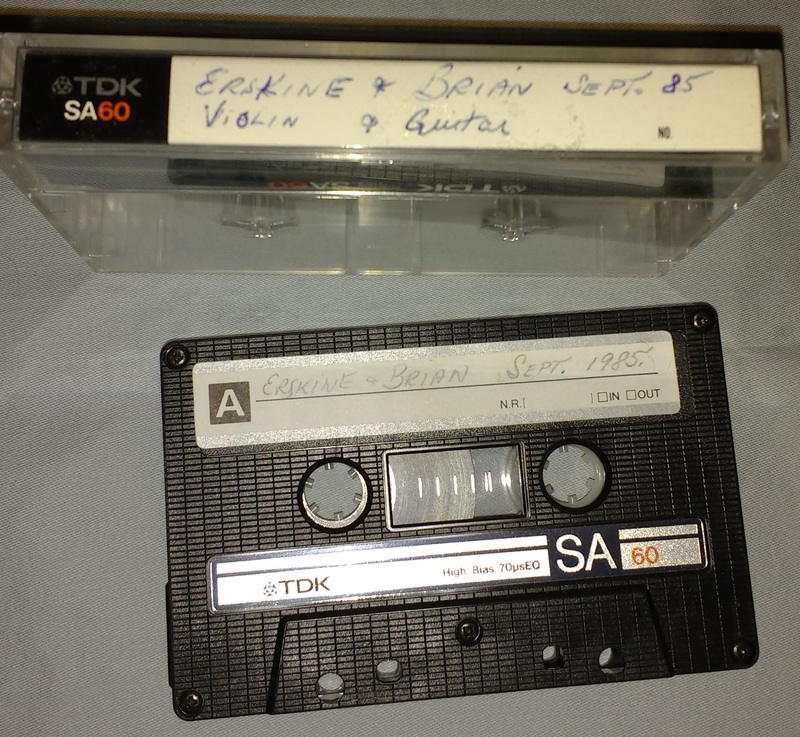 Since we began working together, Brian has transferred about 30 of his father’s home recordings to the computer and we’ve shared over 60 tunes with commentary on our sister blog, Old Time Fiddle Music From the Gaspé Coast. Today however marks a first in our project: This is the first time we have shared an entire cassette of his father’s music rather than featuring just a few individual tunes from a given recording. The playlist with all 37 tunes appears at the bottom of this post. Brian recently re-transferred this tape and did a fine job EQing the sound. Erskine’s style and repertoire were both vast and varied. 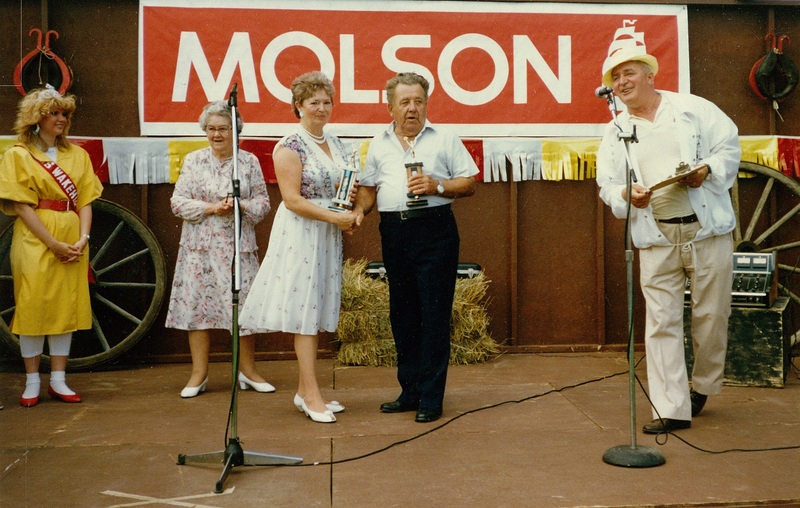 Not only did he have perhaps one of the largest repertoires of local Gaspé-area tunes from the 19th and early 20th century, he also accumulated a large repertoire of new tunes after retiring to Cambridge, Ontario from Montreal in the late 1970s. He learned many of these from commercial recordings of Canadian celebrity fiddlers like Don Messer, Andy DeJarlis, Jean Carrignan, and Graham Townsend and these are the sorts of tunes you’ll still hear most fiddlers across the country playing today. This tape showcases this newer repertoire but there’s also a nice selection of some of his Gaspé classics (Frank Miller’s Hornpipe, The Shannon Reel, The Cockawee, Little White House Under the Hill, Reggie Rooney’s Tune, The Rocky Road to Dublin, and The Mardi Gras Reel). On all the tunes, old and new, Erskine’s unique and funky Gaspé fiddle style with Brian’s solid and driving backup make for some powerful homemade music. That Cambridge recording was similar to the other recordings we made. We just decided that weekend being Labour Day to “make a tape” as my dad would say. This tape was recorded in their basement using the better tape deck which was part of a home stereo they had, so hence the better sound quality. When I think back about this recording, I’m sure my dad had a good idea of what the tunes we would play and he was really serious about playing his best. Glenn, the lady standing behind Mary Ellen is was my mom. Thanks. Thanks Edna! Didn’t they name the trophy for the fiddling in honour of your brother Ray as well? What a great way to spend a night shift at work. Can’t wait to head back.